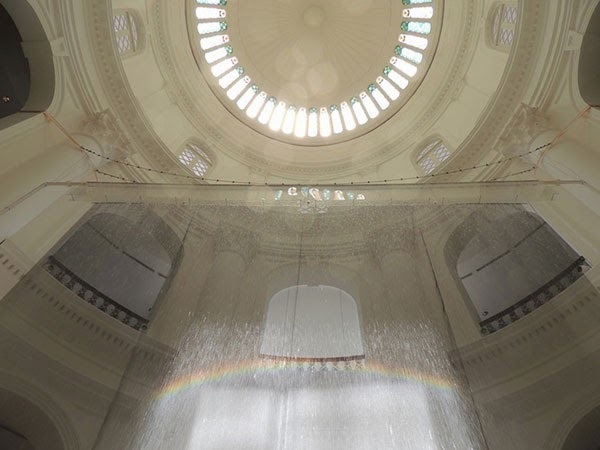 An installation at the National Museum of Singapore for the 2013 Singapore Biennale that induces a rainbow indoors using a modified heliostat to direct sunlight from the outside of the building to a pair of curved mirrors that recasts the light onto an 8 x 8 meter curtain of falling water droplets. 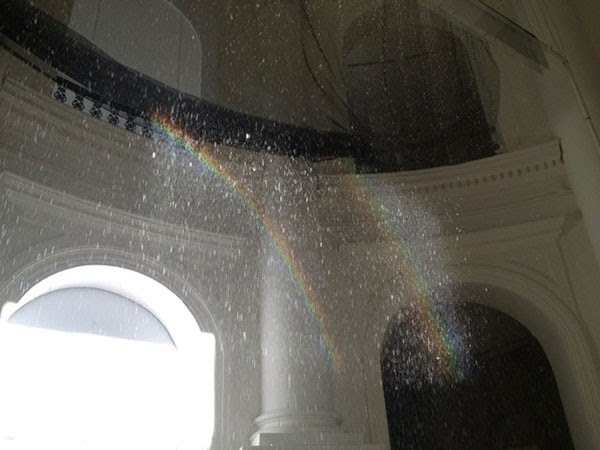 Rainbow Circle 2013 is an objectless art. Like rainbows in nature, it is a perceptual experience where the act of seeing is the very act of creating one's very own rainbow. 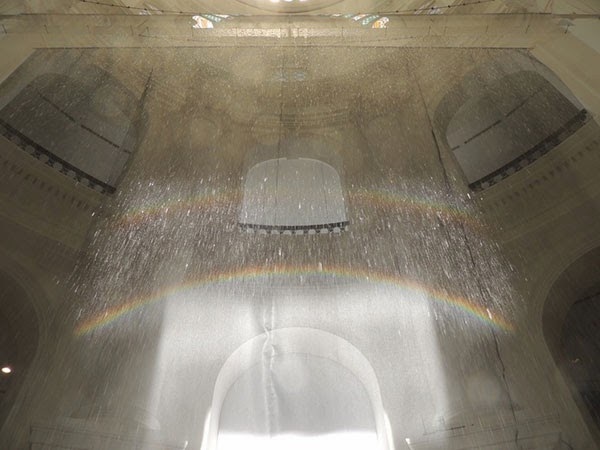 At the same time, this perceptual experience changes since the rainbow appears differently not only to each viewer at any one time but also as that viewer’s point of vision changes. 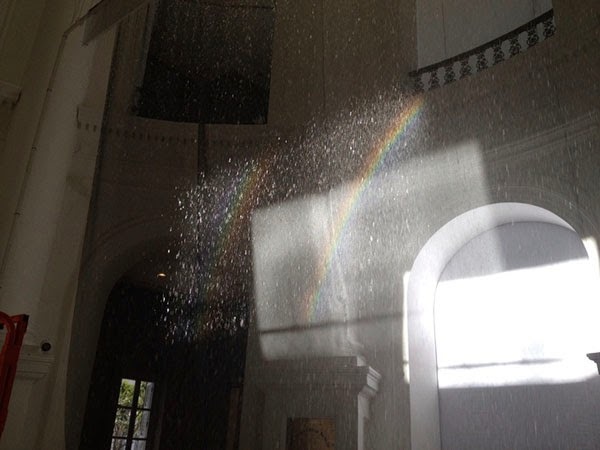 Unattached to any fixed point of origin or location, the rainbow in the landscape shifts in the sky as the viewer moves in position. 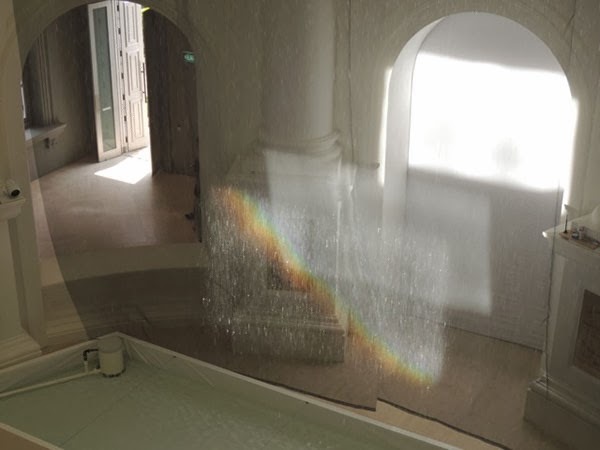 Similarly, Rainbow Circle's form and location is indeterminable because of this very immateriality—hanging freely in space even as the viewing position changes.